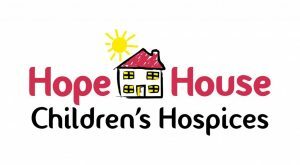 Every Friday we give you the chance to win one of two cash prizes in our Charity Lottery for Hope House Childrens Hospice. If you want to be in with a chance of winning then you can fill in the form below. Weekly cash prizes of £100* and £50* all other proceeds raised will go to Hope House Childrens Hospice. * Entry money will be added every week unless requested otherwise. * Prizes will be paid by cheque. * Subject to ticket sales. * For more information on Hope House, contact us.